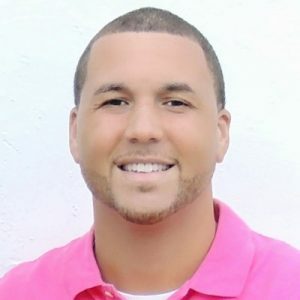 Errol Bailey,He is a successful entrepreneur who has worked in various industries including real estate sales and development, marketing and promotion, and product development and distribution. Bailey is a graduated of the DeVry Institute of Technology. His career achievements include a strong history of successful delivery of on time turnkey results as a contractor. He has distinguished himself and has earned respect in the contracting business ranging from single-family housing to completing mixed-use multi-million dollar projects. Mr. Bailey has established long-lasting professional relationships in the banking, government, entertainment and nonprofit industries. Bailey’s leadership and management skills have gained creditability in the Southeast United States and the Caribbean nations. Dr. Hill brings extensive experience in the areas of real property acquisition and development. He has 30 years of entrepreneur experience in architectural design and planning; master planning and related engineering services. Dr. Hill has 23 years of higher education experience as an educator and administrator in the fields of vocational education, engineering, technology, and transportation. Builder types include single and multi-family residential; commercial–supermarket and health care facilities, churches, office and restaurant facilities; educational facilities (public school and university). He served as an advisor on national and local policy and program development matters to the USDOT, State DOTs, the National Congressional Black Caucus, Central Midlands Council of Government, and the Greater Columbia Chamber of Commerce (Small and Minority Business Advisory Committee). 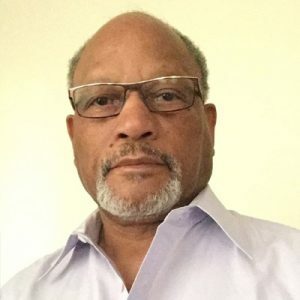 Mr. Tollison brings with him more than 20 years professional engineering experience in roadway and pavement projects in four southeastern states and the Caribbean he is an authority on flexible pavement designs, alternative base stabilization, and rural pave-in-place programs. He has served as engineer-of-record for all dirt roads studies in Richland County since 2007 and is engineer-of-record for the Richland County Alternate Low Volume Pave-In-Place program. Tolleson is a lifelong resident of Columbia and holds BS and MS degrees in civil engineering. 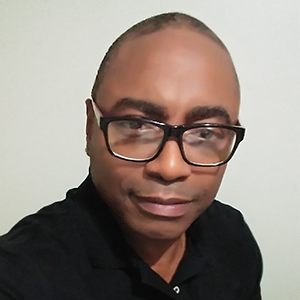 He has held board license Professional Engineering registration in five states and has significant international experience in Haiti and the Caribbean. He holds post licensure as a Diplomate in the Academy of GeoProfessionals (D.GE). He is accepted into the International Construction Project Management Association (ICPMA), and formerly in the International Society of Soil Mechanics & Foundation Engineering (ISSMFE). He has held four elected positions within the American Society of Civil Engineers (ASCE) – Midlands Branch and is currently a member of the US Chamber of Commerce. He is experienced in flexible and rigid pavement design using AASHTO and FAA design methodology and has made technical presentations on pavement condition rating at International conference in Toronto. Dr. Hill has functioned as a sole practitioner of law for some 18 years (retired) and 30+ years in corporate America in senior executive positions including public, private and non-profit sectors. Additionally, Hill served in the capacity of Assistant Secretary of Labor, Divisional Director, Legislative Fiscal Analyst and Legal Council; all for the State of Louisiana. Dr. Hill served the State of South Carolina, Department of Public Safety as Co-Principal Investigator by developing a statewide Hazardous Material Risk Management Plan. He has an earned Doctor of Philosophy in Public Policy and Environmental Law, a Juris Doctor Degree, a Master of Public Administration, and a Liberal Arts Degree in Political Science. He has served on varied Doctoral Committees as well as a total of some 20 years in the capacity of Associate , Research , and Adjunct Professor at South Carolina State University. Mr. McLennan is a business executive and entrepreneur that has experience in technology, business development, marketing, sales and has managed the life cycle of large technological projects in many industries. As CTO and head of Business development for Casewide corp., he implemented and maintained business processes in D.C. Government’s “Office of Procurement (OP)”, and Department of Transportation (DOT) by using company’s patented software and object oriented database to plan the life cycle of the software as it pertained to each Governments departments’ business process. Miss. Murray has extensive experience in project development, strategic planning, marketing, and sponsorship. Throughout her journey, she has carved out a broker and project consultant niche in the areas of project funding, resource alignment and project management in several industries including real estate, content production, events, product launch, and new business development. Robert ‘Kibo’ Thompson has been a driving force in the evolution of the Brand Building and Communications business for over 25 years. He is the founder of BrandProfit. Under his leadership, BrandProfit became one of the most selective, innovative, integrated communications firms around. 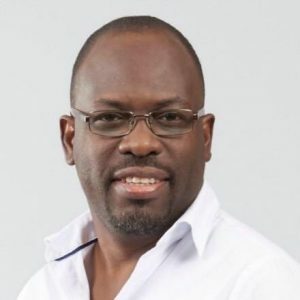 Throughout his career, Robert has spearheaded some of the most successful brand building exercises in Jamaica and by extension the Caribbean, and has expanded his reach in the USA, UK, Dubai Africa and Asia. He has partnered with clients in industries ranging from financial services, entertainment and leisure to technology and food services.